Everyone has a Favourite Flower. Because the fragrance is so delicious, because you find it so beautiful or it reminds you of a special moment. You buy them for yourself or give them to someone you care about. Just for the sake of it, or because it’s a very special occasion. What sort of Favourite Flower bouquet would you like to give, and to whom? Share your Hashtag story with us, but first be inspired by these three fabulous bouquet recipes. Love carnations? We can understand the fascination. This modest vintage flower is available in beautiful pastel shades and shapes with a natural colour shift. Combine different varieties and colours with some mint. 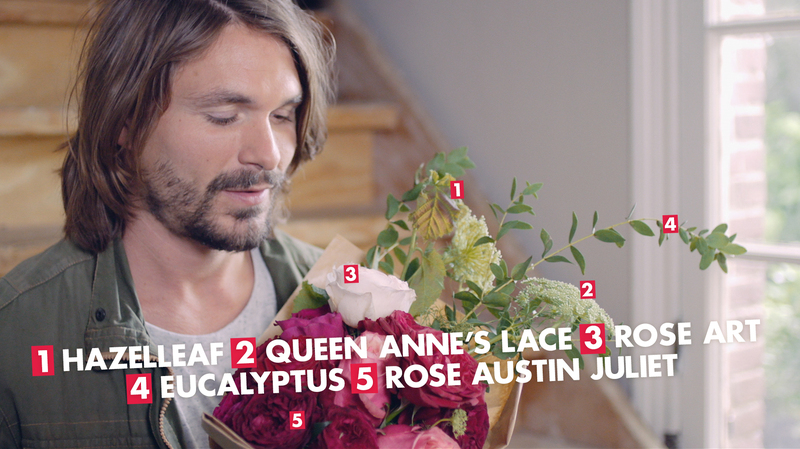 The end-result is a bouquet that’s almost too lovely to give away. The rose is and remains a classic. No other flower has been celebrated so extensively. Increase your love for ‘the flower of love’ by binding it into a bouquet with hazel leaf, dill and eucalyptus. Choose different styles of rose in 3 or 4 shades to create a bouquet with depth. You can’t keep your eyes of it. Go big or go home. A dahlia bouquet certainly makes a statement. One that does justice to someone with a colourful personality and an energy level that’s off the scale. 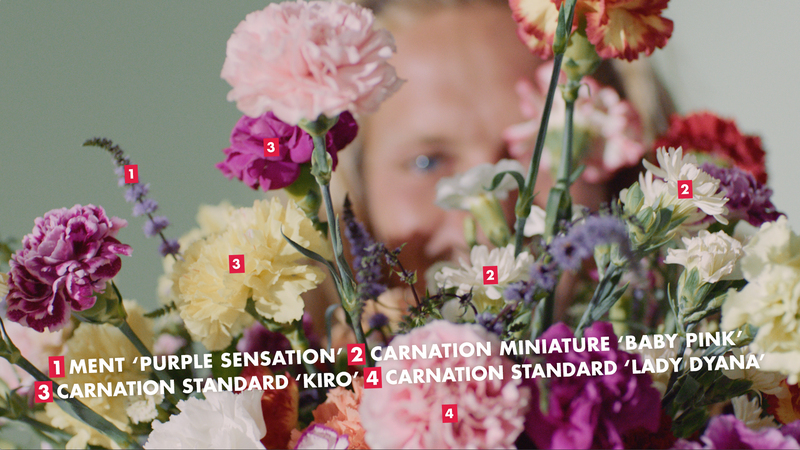 Select four outstanding dahlias and your bouquet’s finished. Big is beautiful!